Discover the essentials of authentic leadership, including insights and tools to assess and strengthen your own unique, authentic leadership approach. Develop ways to amplify your presence and influence, beyond mere methodology. Maximize your potential by understanding and mastering your six core accountabilities as a leader. Most important, The Other Everest will provide you with the tools for lifelong improvement to help you reach your own summits of success. 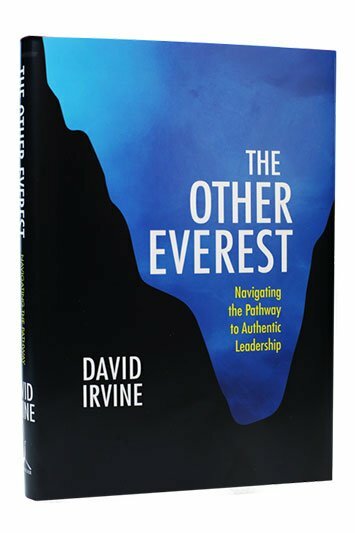 “David’s work has always resonated with me, particularly his insights into authentic leadership. Leadership starts with knowing deeply who we are; our beliefs, strengths, and talents, as well as our weaknesses and shortcomings. It’s only through deep self-awareness that we can begin the journey to true leadership and be the kind of leader that people are willing to follow. David has impacted my life through his work and through his friendship.” — Tim O’Connor, CEO, Results Canada Inc.